This week my goal was to photograph an area of the park that typically reaches its peak bloom during the first days of August. Unfortunately, the main area I had planned to photograph had passed its peak just a few days before I arrived. I did however find several sheltered areas that still had some beautiful summer flowers on display. For me these images are joyful and yet sad. 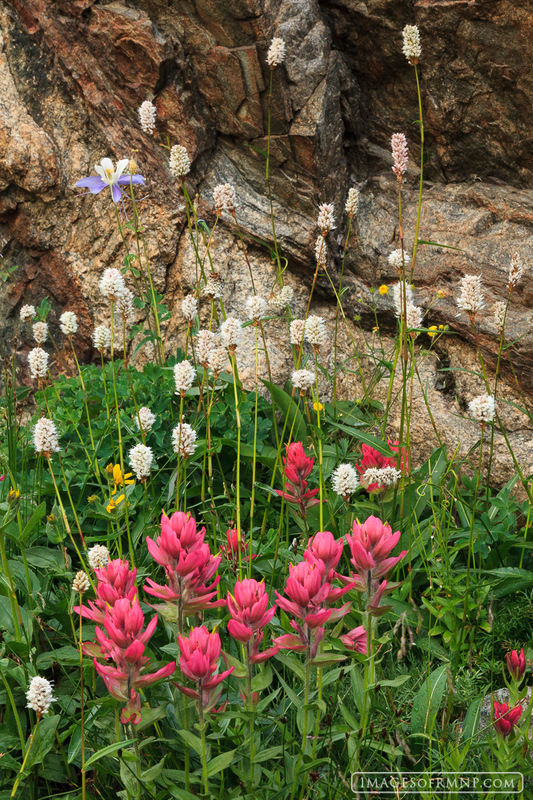 Usually as soon as the flowers in this high elevation area reaches its peak, autumn begins in these same areas just a few days later and then slowly begins making its way down the mountain. Photo © copyright by Erik Stensland.